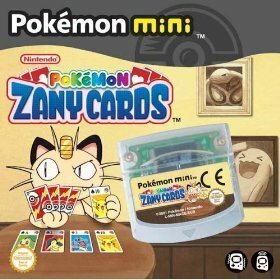 Pokémon Zany Cards​ is a small collection of four card games featuring Pokémon-oriented cards. Hi, I have all the information about the US release if it helps. i dont know how to play this one some how? They take some time to figure out, but the payoff is great once you do. I have the English manual which helps if you can find one. Special seven is the most fun in my opinion. Planning on picking up a second cart so I can challenge my fiance via infrared 🙂 the built-in instructions (C button) should help you get started. Just found the French details of this game on Ebay.